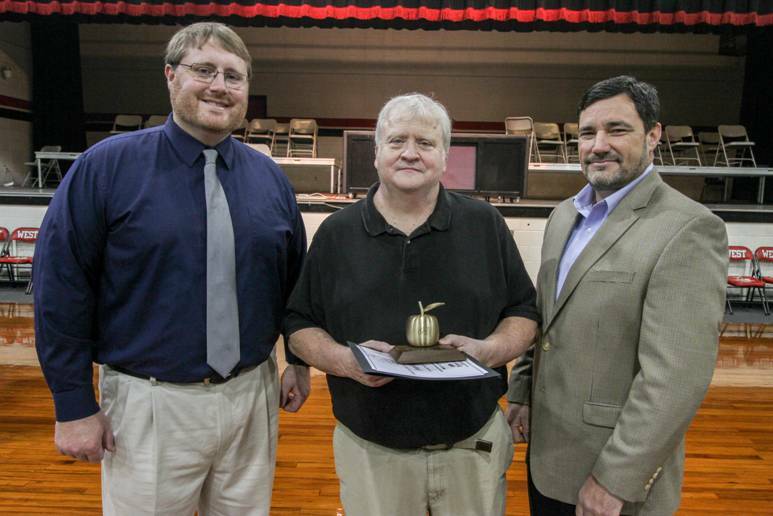 History teacher Joseph Herrington, a self-described history geek, has dedicated himself to the students of West Lauderdale High School for nearly 15 years, transforming difficult-to-remember dates and facts into human stories his students love and enjoy. "Recognition is the last reason you do this. 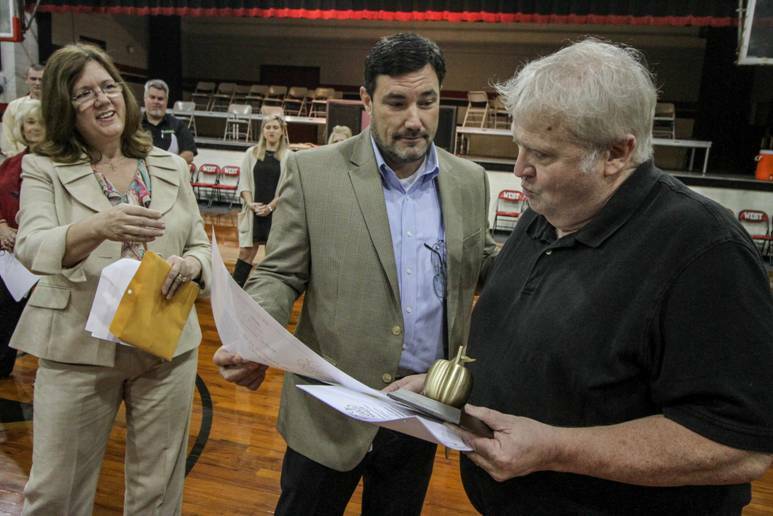 If you're doing this for recognition, then you're in the wrong field," Herrington said. "It's overwhelming. I did not see this coming." 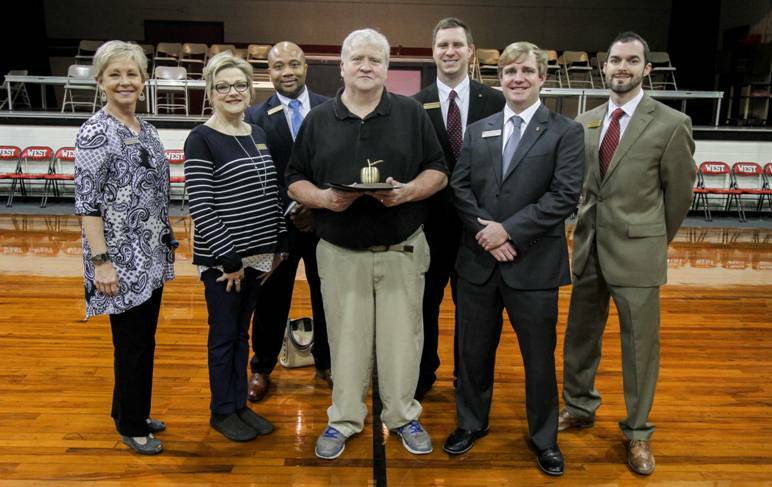 Herrington, nominated by at least 14 former and current students, won the January Golden Apple for his inspiration as a teacher in American History and Advanced Placement United States History. 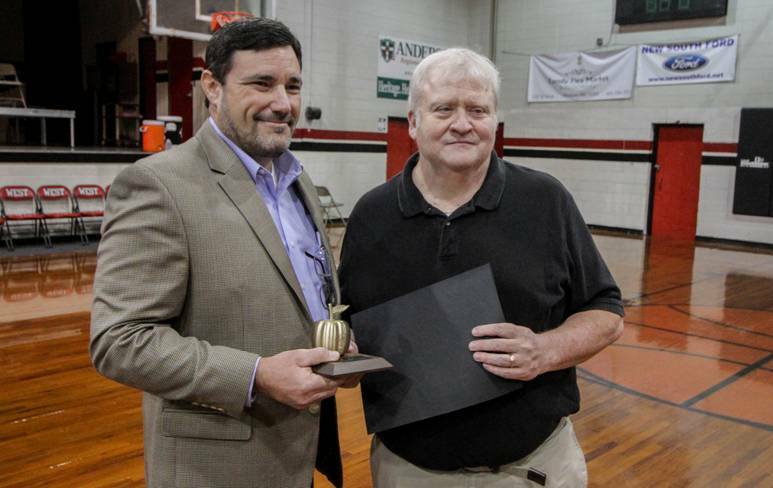 When Tommy Jackson, presenter of the January award for Mississippi Power, described the still anonymous recipient as a "history guru" at a surprise assembly, students quickly turned to face Herrington. Some students even jumped to their feet to give Herrington a standing ovation when Jackson announced him as the winner. "That's the reason you go into this and hopefully there are even more (students) that I've made a difference to," Herrington said. Herrington said he knew he wanted to teach since middle school, when he first tutored an elementary student trying to learn basic addition and subtraction. "He was working on math and was struggling. And we used bottle caps and he was finally able to add numbers... and when he got about five in a row right his face just lit up," Herrington said. "There's nothing better than that." Herrington named engaging students and helping students make academic 180s as his favorite teaching moments. 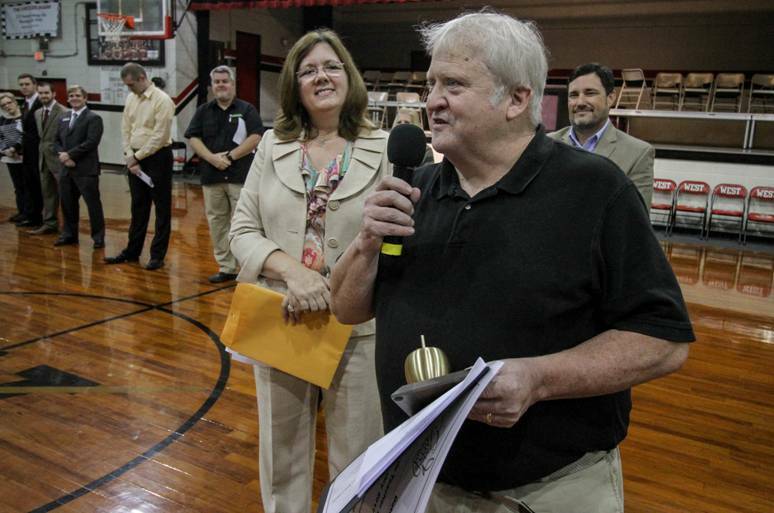 "They enjoying learning and I enjoy teaching so that's a good deal," Herrington said. "I'm lucky I found something I love and they'll pay me to do. That's about as good as it gets." When teaching students, loving the job was one of the requirements, Herrington said. "Kids know if you're up there because you love it or if you're watching the clock until 3 o'clock to go home. They know," Herrington said. "If you're enthusiastic and love your subject, they will be, too." For Herrington, working with students had its own learning process. "There are so many things they don't teach in undergraduate school," Herrington said. "They don't teach you that it's not like a model classroom." Herrington described a hypothetical student who struggled at home, maybe with a negligent, absent or abusive parent, who had to wake up early to get their younger siblings ready for school. "They don't teach you how to deal with that. You have to learn," Herrington said. "It's amazing how tough and resilient some of these kids are... and how fragile some of them are. No two are alike." Herrington plans to retire in May, ending his 30-year career and spending time at his home in the North Carolina Smoky Mountains. "I've got two grandkids and I'm going to dedicate my life to spoiling them rotten," Herrington said, in addition to his white water rafting, trout fishing and golfing. "That's going to be so much fun." 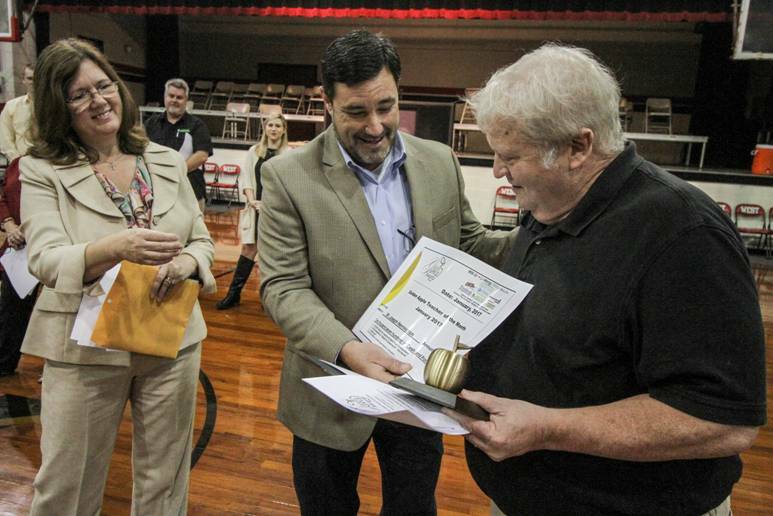 Though he looks forward to retirement, Herrington said he taught the best students in the country. "Most jobs are jobs. But this, I think, is really a calling," Herrington said. 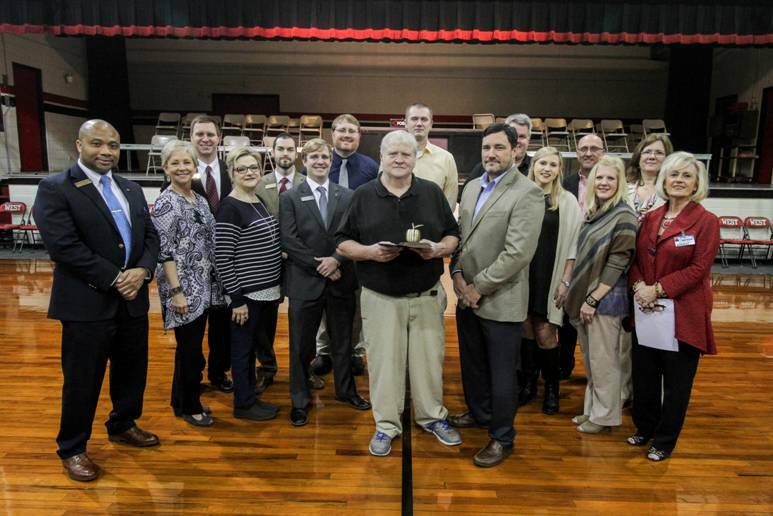 "I don't think you'll find any kids that are better than the kids at West Lauderdale High School. I'll miss them."